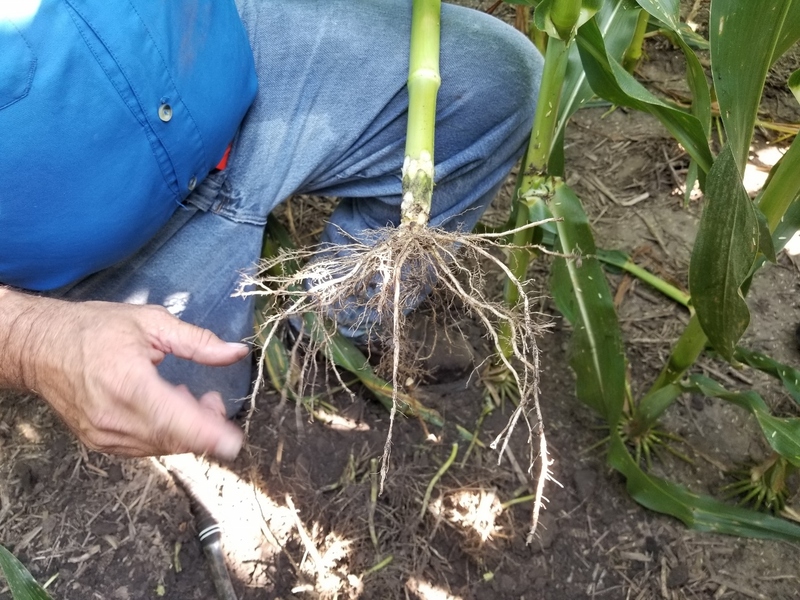 Yesterday was our annual field visit day with Ken Ferrie of Crop Tech Consulting. 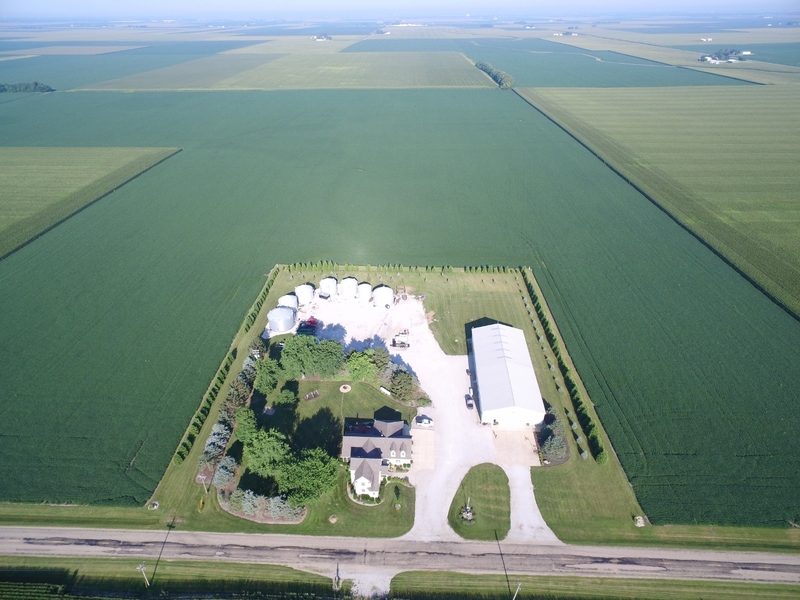 We looked at several farms in both corn and soybeans. Things are looking very good. We are well ahead of a normal year, as far ahead as any of us have ever seen when it comes to the progress the crop is making. 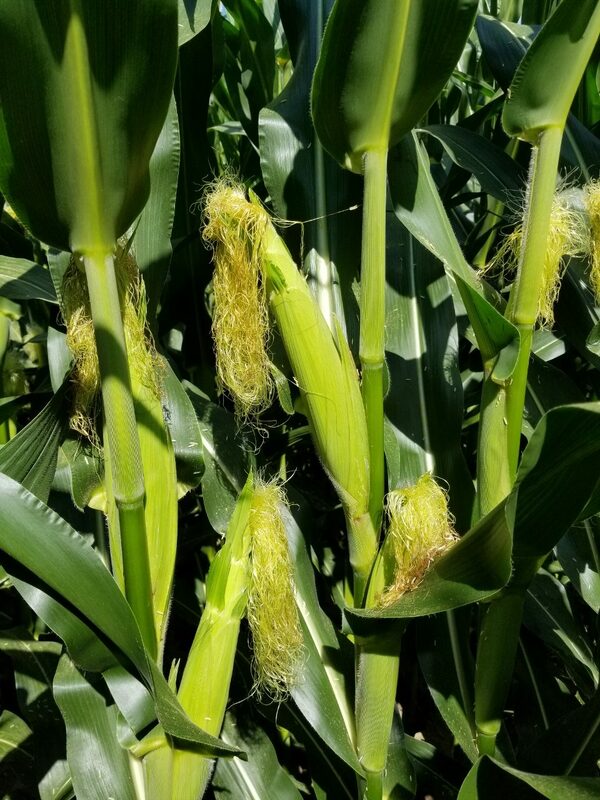 Corn started flowering the last week of June and is now fully pollinated. 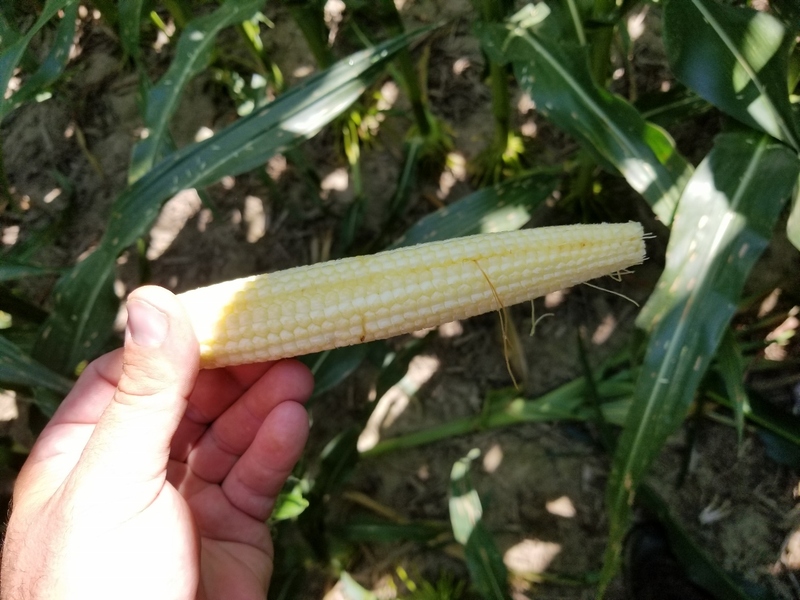 Yield estimates at this point are impressive, but it will take some more rain and favorable weather over the next six weeks for the corn to reach its full potential. We have decided to hire an airplane to spray fungicide on all the corn. Disease pressures are not as high as we’ve seen in the past, but are just beginning to reach the economic threshold for treatment. 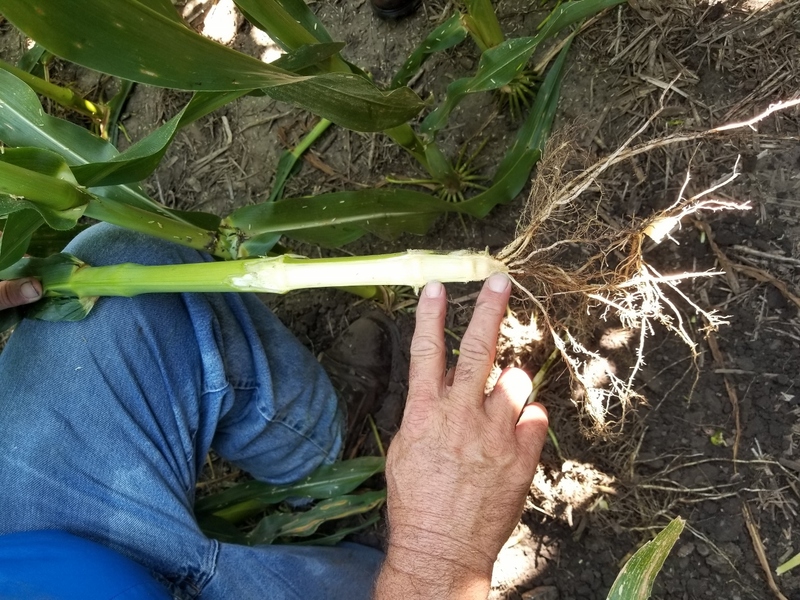 With the height of the corn (11 feet tall yesterday) and its yield potential, disease management becomes more important. The cost of the fungicide treatment by plane is down this year, which makes it an easier decision. The soybeans are already waist tall and still flowering. 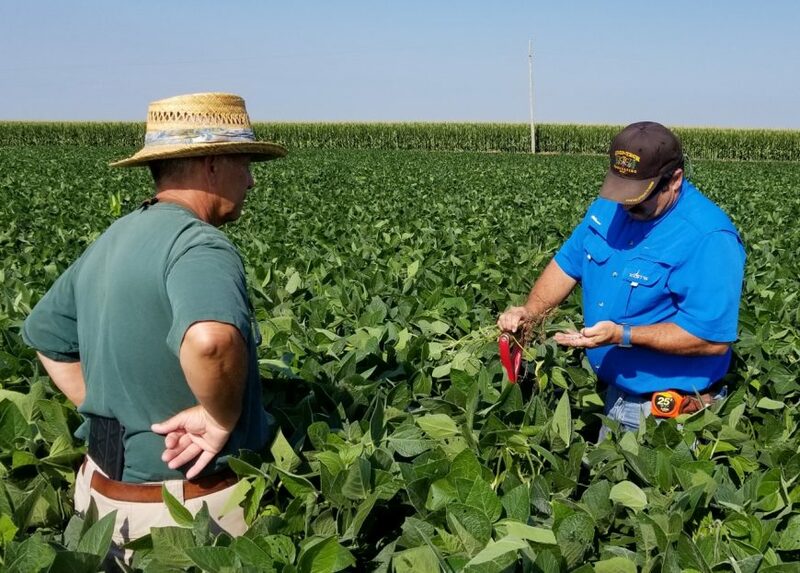 Ken expects most of our beans to be 5 feet tall before vegetative growth stops. 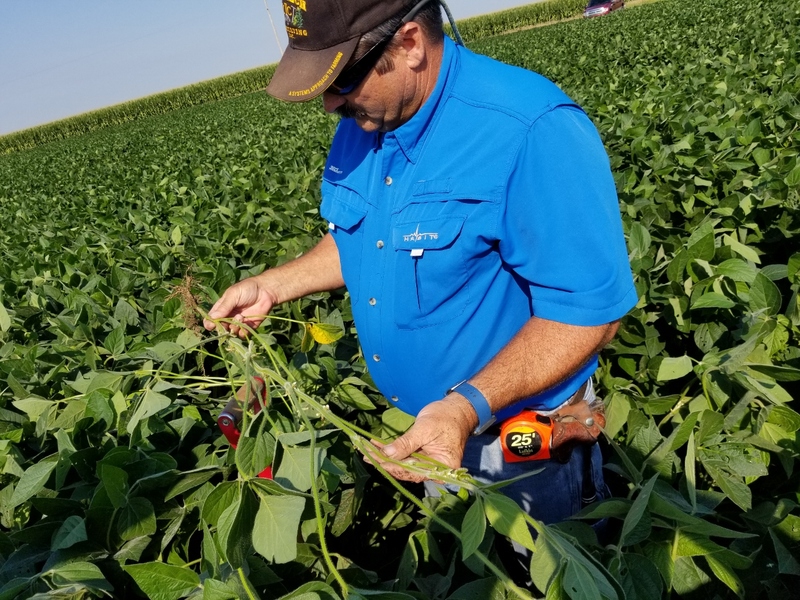 Tall beans don’t always equate to higher yields, but with the amount of nodes and flowers they are putting on, there is potential for good bean yields if we get rain in August to help fill their pods. Taller beans can be a challenge to harvest. 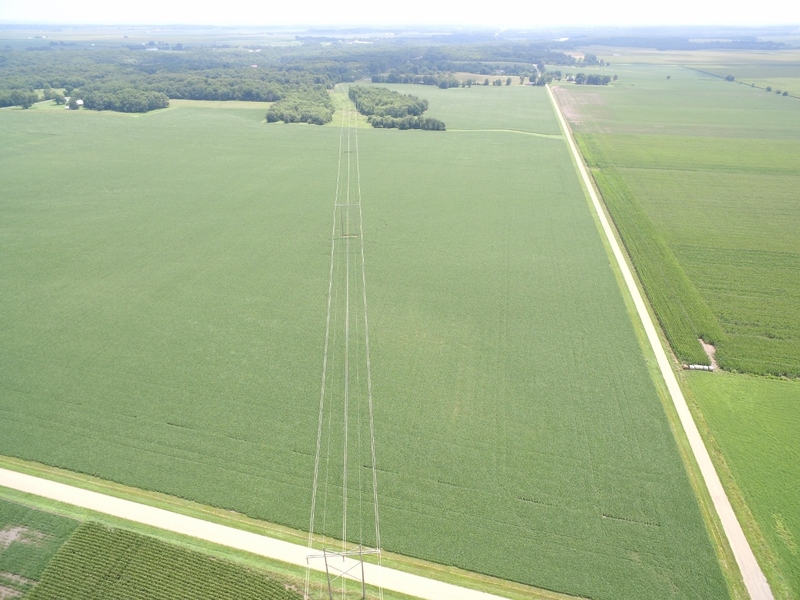 We are still planning on running two soybean combines this fall with the hopes of being more efficient in getting this larger than normal bean crop harvested. So far so good! Let’s hope we can get a few more timely rains to finish this crop out!